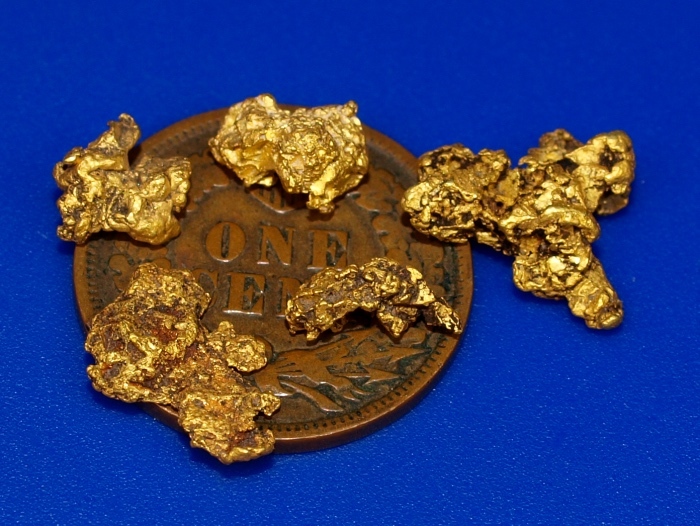 Here is a collection of beautiful little natural gold nuggets from Shasta County, California. 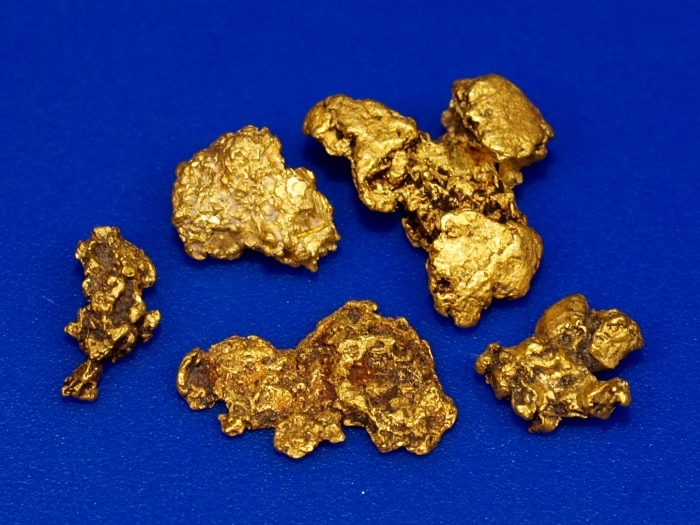 These are very rough little nuggets that were each found with a metal detector. Their combined weight is 4.24 grams. The penny in the photos is for size reference. This gold will ship for FREE and comes in a nice display case.